An L.A. Theatre Works full-cast performance featuring Anne Gee Byrd, Matthew Patrick Davis, Bruce Davison, John de Lancie, Matt Gaydos, Harry Groener, Christopher Guilmet, Melinda Page Hamilton, Gregory Itzin, Roma Maffia and Missy Yager. 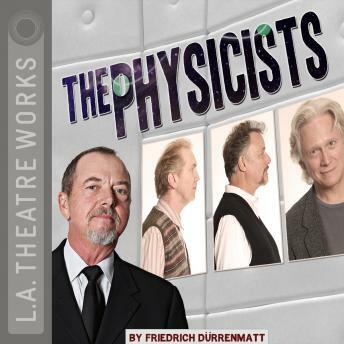 The Physicists is part of L.A. Theatre Works’ Relativity Series featuring science-themed plays. Major funding for the Relativity Series is provided by the Alfred P. Sloan Foundation to enhance public understanding of science and technology in the modern world.